Need more than just a physical barrier between your premises and the threats of the outside world? Looking for a solution that also provides shading, sound and heat insulation through its shaded lathes for increased comfort and courtesy? If that’s the case, we recommend insulated aluminium roller shutters for your premises. Light and durable, aluminium is hands down a fantastic choice for when you want a sturdy and reliable metal that isn’t too heavy to operate manually. 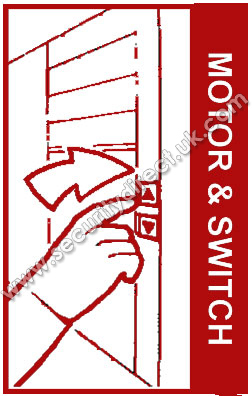 With larger entrances such as garage doors and shopfronts, these shutters can so be fitted with electric operation – allowing you security at the push of a button. What’s more, the insulation provides additional benefits for those working within the premises. During the winter, it keeps the heat in during the night, meaning that early-morning visitors to your shops aren’t put off by the cold. In the summer, the shutters keep the sun out of your bar until opening time, ensuring that things don’t get too stuffy inside. The insulation also provides an element of soundproofing, allowing you to be conscientious about your noise. These shutters are a great option for domestic premises too, allowing you all the benefits and peace of mind knowing that your home is as secure as possible. Better yet, the broad range of finishes also includes a wood grain option, ensuring that these shutters provide you high levels of security without looking gaudy or out of place. 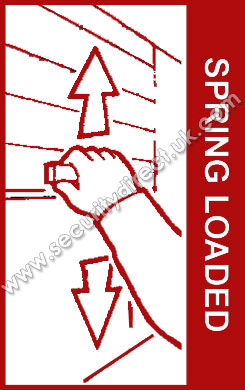 High Security Domestic Shutters, Medium to High Security Office Entrance Doors & External Shopfronts. Also for Tobacco Kiosks and Bars, particularly with Wood Grain finishes that are available. 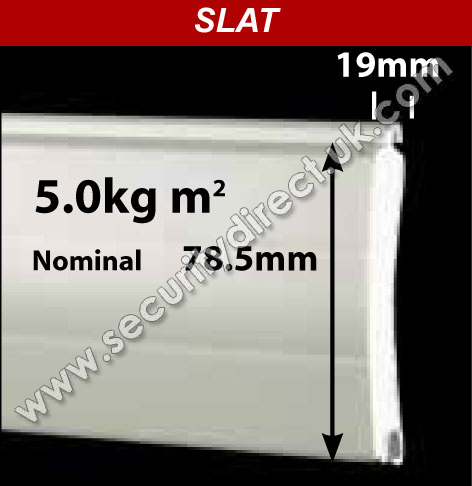 Provides a very rigid curtain with good Insulation values for Heat Retention. Relatively quiet in operation. Box and Guides Powder Coated White or Dark Brown as standard. Other BS and Ral Colours available at an extra cost. Curtain is available in White, Brown, Light Beige, Light Grey, Burgundy, Navy Blue, Fir Green, Black, Medium Oak, Teak, Heritage Green, Ivory, Metallic Silver and Anthracite as standard. Also available is Medium Oak effect or Teak Wood grain finishes. Mahogany, Golden Oak or Rosewood TEXTURED Woodgrain finishes also available at EXTRA cost. High grade corrosion resistant Aluminium with CFC free foam core for thermal insulation and noise reduction. A typical U value for an insulated roller door is 5.2 W/m2K. Roll formed Aluminium in two sections; top and bottom boxes. Bottom Box removable for installation and maintenance and is chamfered at 45o. 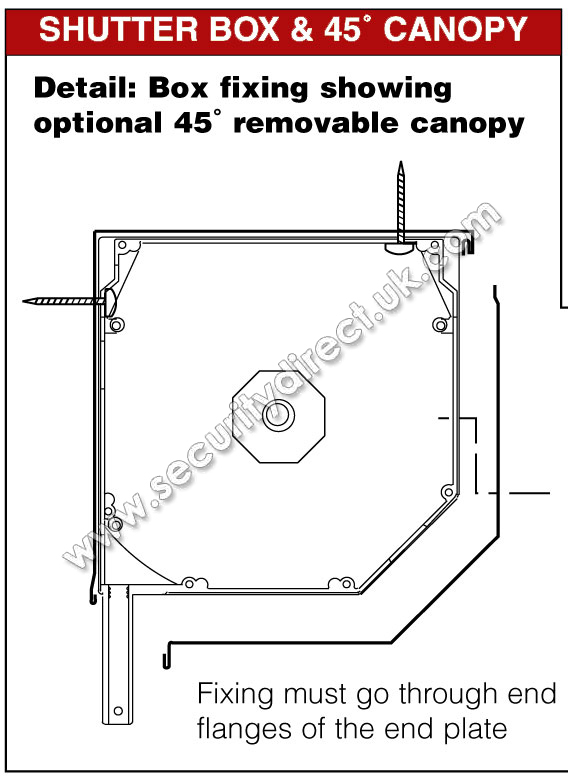 The Extruded Aluminium Guides with an integral box section provide reinforcement and assist with fixing. High density 5mm pile brush seals for quiet and smooth operation. 90 mm Guides are used as standard. The RA77 is available both manually and electrically operated using a tubular motor inside the barrel. The options prices are shown on your quotation which also shows the method of operation we have included. This list shows possible options which would incur different costs. 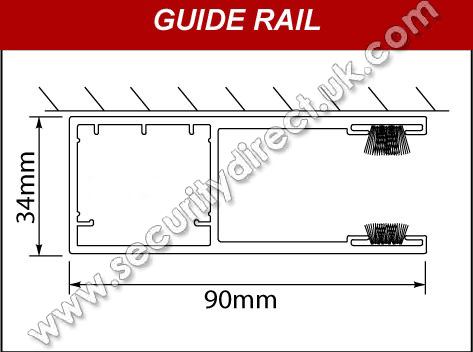 bullet locks are available which are pins that go through the guide rails each side. Our extensive range of colours is all about choice and style. PRODUCT OVERVIEW Description The Insulated Gal.. PRODUCT OVERVIEW Description Insulated Galvanised Steel Laths .. PRODUCT OVERVIEW Description The RA77 Perforated i..